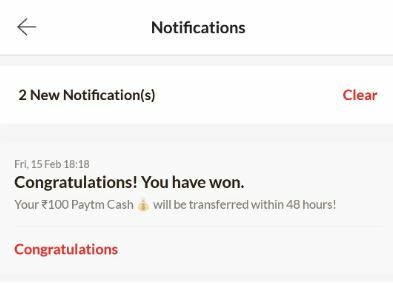 Oyo App Free PayTM Cash, OYO Rooms Free Rs.100 PayTM Cash Offer – Hello wap5 Readers! Here i am back with Oyo App. Install app and Open it in Offer Week and Get Rs.100 Free PayTM Cash from OYO Rooms App. Follow Given Steps below and Get Free PayTM Cash. 6. You will see a Banner Like below on Dashboard. 7. Now Open Oyo App Daily from Today to 27th March.